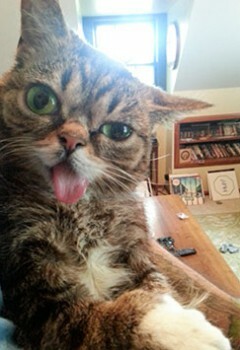 In July of 2011, Lil BUB was discovered as the runt of a healthy feral litter in a tool shed in rural Indiana. At only a few weeks old, she was rescued when it was clear that she would require special care. BUB is a published author, a talk show host, the star of an award winning documentary, a Billboard charting recording artist, and has raised over $500,000 for animals in need. In her spare time, she enjoys deep meditation and yogurt.